Anna Gaskell’s first monograph showcases the artist’s famed photographic series and rarely seen drawings. Through such diverse references as Lewis Carroll’s Alice in Wonderland and 1970s horror films All About Eve and Carrie, Gaskell plumbs the strangeness of growing up female in a haunting and provocative style of photography. 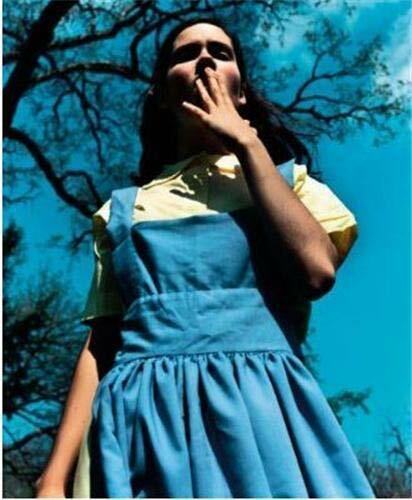 A Disturbing and Melodic Look at Childhood; The first printed collection of the various works of this controversial young artist, known as the Cindy Sherman of her generation and proclaimed by the internationally renowned gallerist Mary Boone as a leader in creating "a whole new aesthetic." In this deliciously wicked interpretation of female identity and sexuality at the moment of adolescent transformation into adulthood, Anna Gaskell strip-mines the strangeness of growing up. Envisioned as Neo-Gothic allegories, this collection recalls psychological horror films such as Carrie, All About Eve and The Exorcist, literary works like the Brothers Grimm's Magic Donkey and Lewis Carroll's Alice in Wonderland, and real-life characters such as the infamous Genene Jones, a paediatric nurse convicted of several murders in the early '80s. With such a twisted selection of references, it is no wonder Gaskell's photographs reveal such a strange and tilted world, where seduction and fascination go hand and hand.